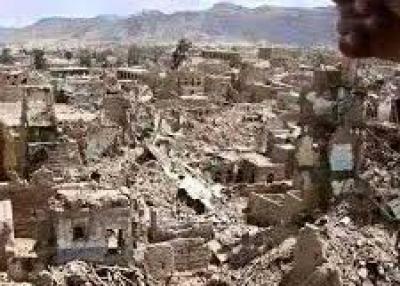 Almotamar.net - Saudi aggression coalition warplanes launched several strikes on Saada province and Asir region overnight, a security official said on Tuesday. Meanwhile, the official said that Saudi missiles forces fired shells on several areas in Razih, al-Dhaher and Shada districts, causing worse damage to citizens` houses and farms. Furthermore, the warplanes launched four strikes targeted al-Zaj area in Asir region, the official added.